Congratulations to CHP grad, Samantha. 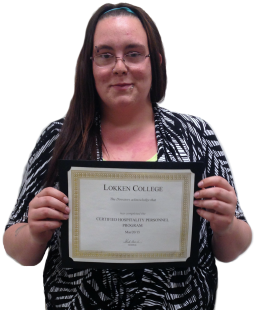 Samantha said she learned a lot during her time at Lokken College. She enjoyed the Career Path Management portion of the program the most and went on to share that the Money and Budgeting modules were especially helpful to her.